“It’s so private and relaxing with such a lovely outlook. You don’t feel as though you have to compete with other gym goers and you can just do what you want, when you want,” says Lorraine Rich of her garden gym. 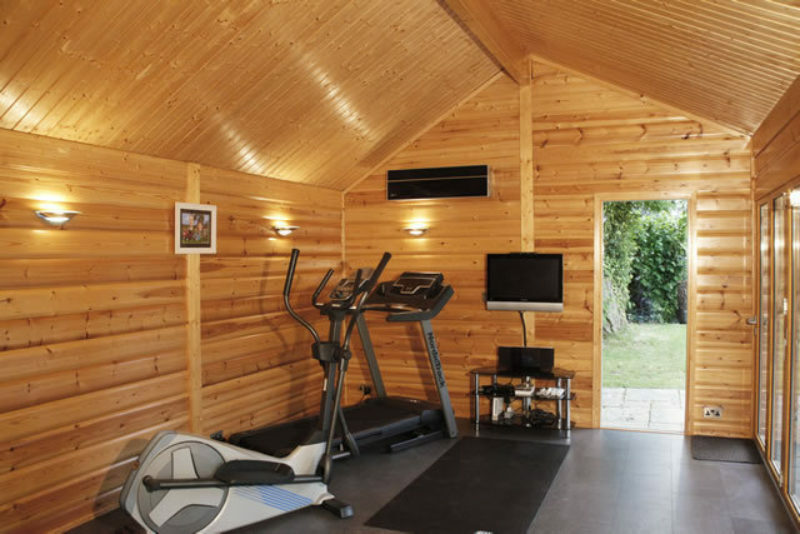 Now nearly ten years old, and looking as good as the day it was built, the luxurious log cabin gym boasts an exercise bike, treadmill and cross trainer. 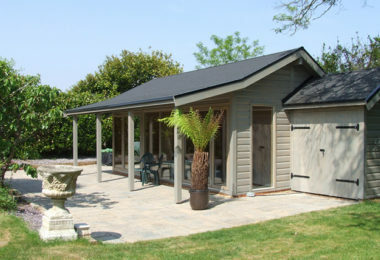 An air source heat pump/air conditioning unit can be switched on to keep the space cool or warm, and whilst you exercise you can take in views of the leafy garden through the bi-fold doors. With no gym subscriptions needed, the whole family benefits from using the building including Lorraine’s grandson who has just been selected to train with an elite rowing squad. “We’re so proud of him. He’s only been rowing for a year but is doing so well,” she says. “My husband tends to use our gym it in the early morning and then evening after work, and my daughter will pop over to work out when the kids are at school,” says Lorraine. As Lorraine has five grandchildren and a busy social life, she made sure the garden gym was large enough to double up as a garden room where she could entertain and relax with her family and friends. “It’s a gym but also a space for entertaining and a playroom. We were even able to have a tool store attached. Our garden room does it all. It looks delightfully elegant, yet it’s so strong and solid,” she said. When her grandchildren visit, they go straight down to their ‘playroom’ to watch TV, game and chill out. “It means we get a bit of a break and we know they are safe,” said Lorraine. 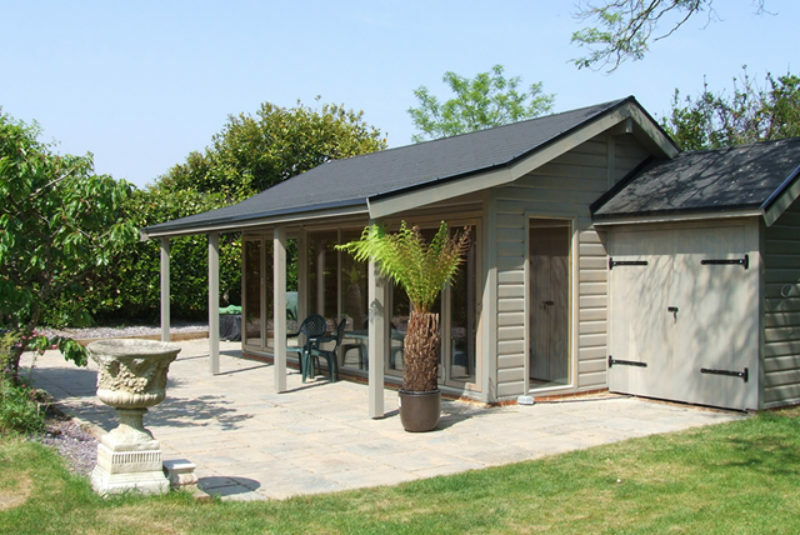 For barbeques, the bi-fold doors can be opened up and the family can gather under the extended porch roof, or, in really hot weather, the air conditioning unit can be switched on and the food can be kept cool inside. In winter, the unit acts as a low running cost heating system, when needed. 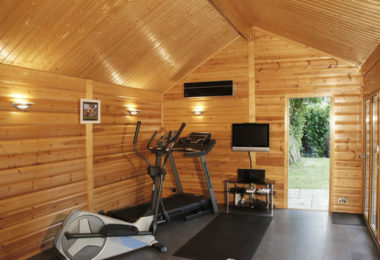 “We can use our gym for exercise in all weathers, and we also have a toilet which is really useful. 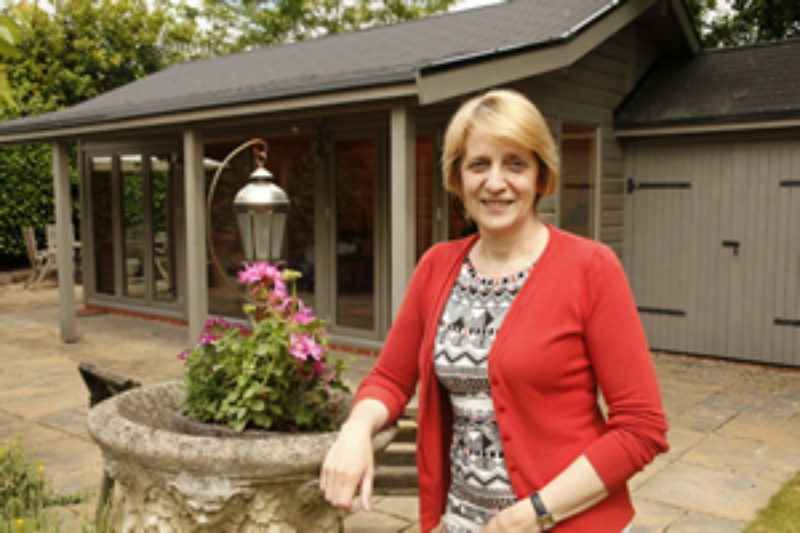 Our tool store houses all our garden tools and lawnmower, getting rid of the need for an extra shed,” Lorraine added. The solid log garden gym is the building equivalent of a Swiss Army Knife. “It’s a great personal space. I love it. I’ve even hosted the choir that I sing in. We had them over for some food and drink and we all had a sing along in the garden. What more could you ask for,” she concludes.